We previously got a glimpse of Hugo Weaving as The Red Skull in the trailer for Captain America: The First Avenger but today we get the a much clearer image of Captain America's Nazi nemesis in the upcoming movie. The new image comes courtesy of EW. 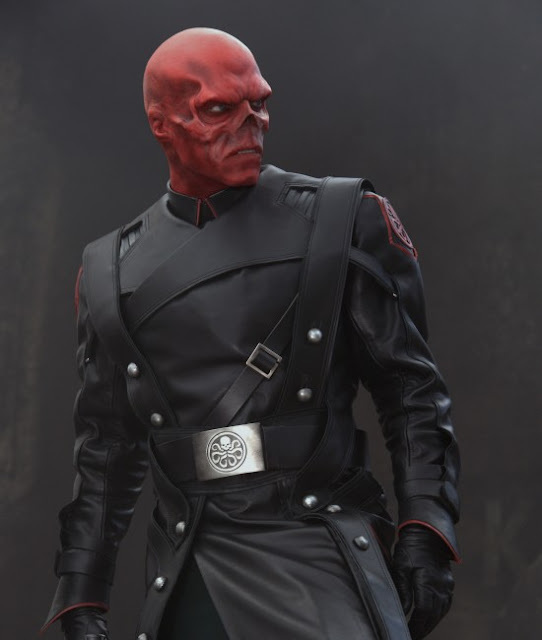 To find out more about The Red Skull go here. The Movie hits theaters July 22nd. Update Hit the Jump to see a high resolution version of the image. I'm reading: THE RED SKULL IS FULLY REVEALED IN NEW IMAGE FROM [CAPTAIN AMERICA: THE FIRST AVENGER] UPDATEDTweet this!